House of Barbaard was founded out of pasion for Gentleman’s lifestyle and appreciation for the sophisticance that was found in the roaring twenties. We proudly call ourselves Gentlemen with Attitude as we stay true to our own personality and have an easy-going approach on life. Our House is an expression of our philosophy and any men visiting our establishment strengthens where we stand for, one family of Gentlemen with Attitude. As mannered men, we don’t judge, don’t discriminate and give each other the respect one deserves. Together we form this exceptional place in Hanoi and Saigon that every man deserves, the haven of grooming, drinks and cigars. 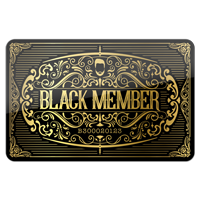 Every visitor becomes part of our family and as thanks for your contribution and loyalty, you will be given a membership card. With your membership card, you will receive discounts, invitations to events and exclusive offers. Also, we have created different packages by which you can pre-book your barber services and be assured of looking dapper the whole year around. Every Gentleman visiting our House automatically becomes a member and receives a membership card which enables you to benefits of special discounts and exclusive offers. 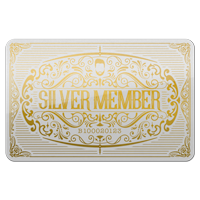 Whenever you spend anything at our barbershop, store or loungebar then this will be added onto your account. 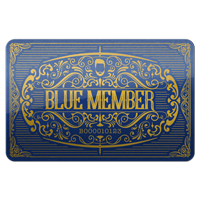 Starting as Blue member you will grow in tiers depending on your expenditure. Below you will find more information about the different tiers and benefits. Exclusive access to worldwide Barbaard locations. Special benefits at our Discount Partners. Option to subscribe for our Newsletter featuring insider information and promotions. Access to an Exclusive section of Gentlemen With Attitude (G.W.A.). One drink & Finger foods included when using our barber services. Discount on Gentleman’s Up Packages for yourself and one friend (p. visit). Discount on Gentleman’s Agreements, for yourself and your friends. Complimentary traditonal Shoe Shining Service at every visit. Peronalized House of Barbaard Gift. Discount in our Lounge bars (all menu items including Cigars). Access to a hidden selection of very Exclusive Whiskeys. Priority for the best tables when making a Lounge bar reservation. Discount on Barbaard Products and brands sold by Barbaard. Pre-order option for New Products. Free sample package of New Products. Your membership benefits are subject to change. Please refer to the membership brochure provided when receiving your member card for more detailed information. 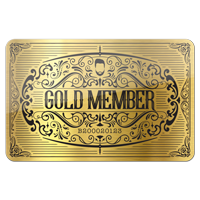 * You get upgraded in membership tier when you spend the amount necessary within a period of 12 full months. You must re-qualify for your membership tier 12 full months after you have been upgraded. As example, if you reach an expenditure of 15 million VND on 8 October 2018 you will directly be rewarded as Gold Member. Your membership tier expires on 31 October 2019 if you haven’t spend 15 million VND or more in the 12 months since you got upgraded. Our Gentleman’s Agreement have been created for those that already are, or are planning on become regular guests of our barbershop, or for those that are looking for a special gift. With our different Agreements you pre-book your barber and add-on services, and benefit of discounts and exclusive extras such as instant upgrades in your membership tier. The seemingly noble agreement turned out to be a Burglar’s Agreement, pre-book ten visits and get two complementary. Pre-book 12 barber services for the price of 10 services, they do not expire so can be used whenever suits you best. Looks make a difference when making a trade. Be assured of the best appearance by pre-booking your visits, shoes shining and signature Gentleman’s drinks for the smooth talks. Pre-book 12 barber services including traditional shoe shine service and a drink of choice from our signature drink list upon every barbershop visit. You benefit as you only pay for 10 services plus add-ons and therefore receive two complimentary. This Agreement does not expire so can be used whenever suits you best. Accustomed to getting only the best, the King negotiates to have it all. Feel like royalty by receiving an instant upgrade to Platinum member and fulfil your deepest grooming desires as you will get to visit our stately House whenever you wish. With this Agreement you will benefit of unlimited barber services, therefore you will be assured of that sharp look the entire year. This is not all, as you will receive a personal box of 20 large House Corona cigars and you get to choose two bottles from a selection of exclusive Whiskies, Cognacs and Rums (with bottle-keep service) plus an upgrade to our highest membership tier.